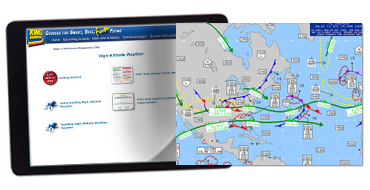 Covers weather and forecasting for flights above FL250. Includes hazardous weather and how to avoid it! This course provides recurrent training in high-altitude weather to help meet the requirements of FAR 91.1065(a)(2) for Part 91K operators, Part 125.287(6), and FAR 135.345(a)(3) for commuter and on-demand operators. Satisfies IS-BAO recurrent training requirements.